In the week since the redacted report by special counsel Robert Mueller was released, Donald Trump has clearly demonstrated what he really thinks of it. Although he said that it “totally exonerated” him, his actions belie his words. He has done nothing but criticize it and try desperately to discredit it and its authors. That’s not what an innocent person does to a report that he believes vindicates him. Trump’s reaction affirms his overall state of mind, which is an all-consuming fear of what his future holds. He knows what he did and is terrified that everyone else is going to find out. Consequently, he has receded into his bunker and refuses to deal with anyone other than loyal subjects, cult rally attendees, and of course, Fox News. This strategy of hiding under the Lincoln Bedroom bed reveals that Trump and his Deplorables still languish in a fantasy world where they believe that he is a pillar of strength. 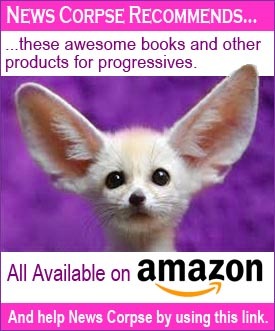 There has been relentless criticism of the Democratic Party’s decision not to allow Fox News to host a Democratic primary debate. The StormTrumpers say that Democrats must be afraid of Fox. To the contrary. They are aware that Fox News is an overtly hostile environment that only exists to denigrate them. Nevertheless, several Democratic candidates for president have either already agreed, or are holding talks, to appear on a Fox News hosted town hall. There are big differences between town halls that are aimed a broad audience, and primary debates that are more narrowly intended for voters of that particular party. And every survey shows that there aren’t very many Democrats watching Fox News. The list of Democrats looking at Fox town halls includes Amy Klobuchar, Pete Buttigieg, Julián Castro, Eric Swalwell, Tim Ryan, John Delaney, and Michael Bennet. They would follow Bernie Sanders, who already did one and was immediately castigated by Trump for doing so. That’s a clue to what the others should expect. What’s interesting about this is that while Republicans are quick to attack Democrats for avoiding Fox News (which obviously isn’t true), the same Republicans never bother to note that Trump is petrified of MSNBC and CNN. He has never permitted these networks to interview him as president. Trump’s abject fear is palpable. It’s why he constantly maligns the media in Stalist terms as “the enemy of the people.” He will not allow himself to be in a situation where he can’t control the dialog. So Trump and his GOP cohorts in politics and punditry should STFU about Democrats going on Fox News. At least until Trump appears in a town hall hosted by Rachel Maddow, Lawrence O’Donnell, or even “Morning Psycho” Joe Scarborough. Or maybe Anderson Cooper, Don Lemon, or Jake Tapper. But don’t hold your breath. Trump won’t even sit for an interview with Fox’s Shepard Smith, Bret Baier, or Chris Wallace. That pleasure (?) 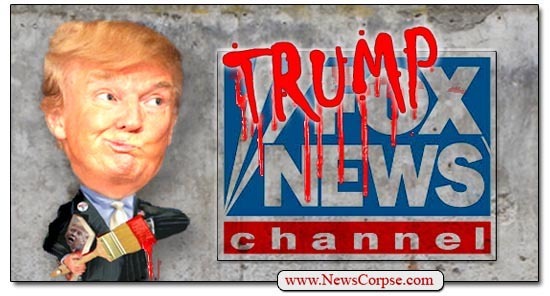 is reserved exclusively for Sean Hannity, Jeanine Pirro, and the “Curvy Couch” potatoes of Fox and Friends. These are Trump’s safe spaces where he knows he won’t be challenged or met with anything other than adoring sycophancy. And the contrast between the relationship between Democrats and Fox News, to Trump’s panic-stricken dread of MSNBC or CNN, shows who the real snowflake is. There has been one voice on Fox News who has dared to challenge the doctrinal mission of America’s most nauseatingly right-wing network. Shepard Smith is an anomaly whose continued presence is something of a mystery. 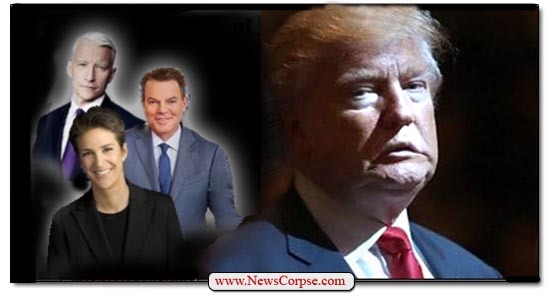 As part of the so-called “news” side of Fox News (which doesn’t really exist), Smith has repeatedly exposed the lies that his own colleagues disseminate on a daily basis. Smith must have some pretty embarrassing photos of Rupert Murdoch locked away somewhere. His departure from the approved political Foxisms frequently contradicts the commentaries by other hosts and contributors. 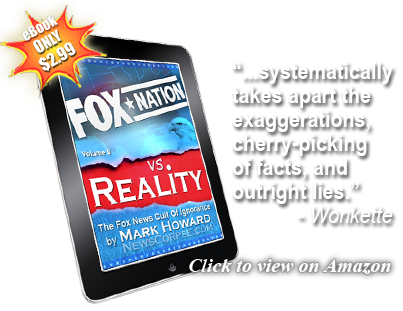 By provided detailed and factual reports on issues that Fox regulars routinely lie about, he’s exposing them as purposefully dishonest. But he’s getting away with it, so far. 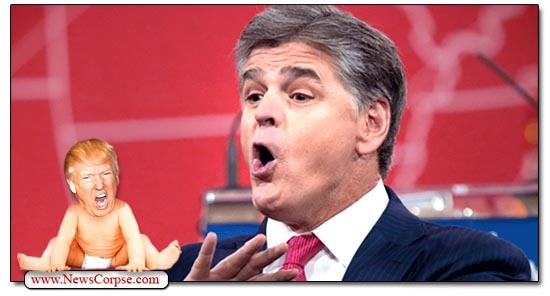 Those words must sting Hannity, and Laura Ingraham, and Tucker Carlson, and the “Curvy Couch” potatoes of Fox and Friends, like holy water stings the devil. Their whole reason for being is to manipulate, invent, and deceive. They are Trump’s first line of defense, as well as the hostile flank assembled to malign Democrats and other Trump critics. Fortunately, the glow of Fox News is weakening as both their audience and their advertisers are fleeing the network. They are rapidly tiring of the relentless negativity and lies. And Fox isn’t helping themselves by allowing blatant hate speech to be broadcast without any repercussions. 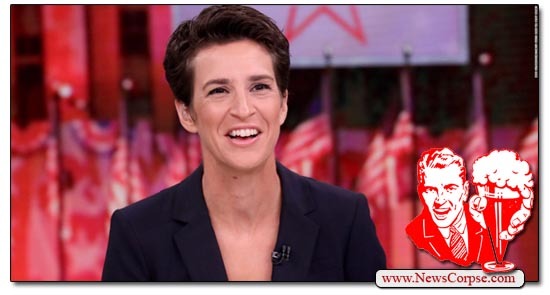 The result is that MSNBC has been beating Fox on a regular basis for the past four months, with Rachel Maddow leading the way as the most watched program on cable news. 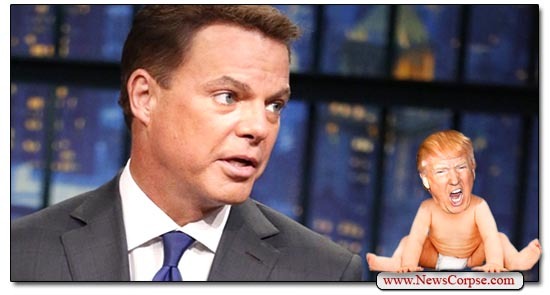 You have to wonder how much longer Shepard Smith will be able to make fools of his Fox associates and keep his daily program. The cult of Fox News (aka the cult of Trump) is not exactly comfortable with Smith, who they demand be fired at once. Their hostile and profane attacks are proof that the network is aimed at a hive-mind audience of blind followers who can’t tolerate any exposure to facts, or diversity of opinion. Consequently, Smith is trying their patience by providing some occasional truths and having the audacity to win awards that honor the First Amendment – something that Fox News and Trump bitterly oppose. A few weeks ago the chairman of the Democratic National Committee (DNC), Tom Perez, was asked by Fox News anchor Bret Baier whether he would consider scheduling a Democratic Party primary debate on Fox News. Perez responded saying “Absolutely, we’re having discussions with Fox and others.” That reply was widely criticized by Democrats appalled at the notion of rewarding the propaganda arm of the Trump White House with that kind of opportunity to continue their campaign of political sabotage. That decision should have been an easy one from the start. Fox News has not made a secret of it’s prejudices. 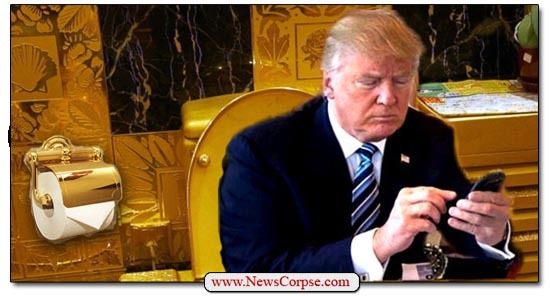 They spend twenty-four hours a day promoting Trump as the savior of America, shielding him from any and all criticism, and viciously maligning Democrats and others who dare to challenge Trump’s divine right to absolute power. Fox News accuses Democrats of advocating infanticide. Fox News brazenly lies to smear Democrats on a mission of mercy to reduce global poverty. 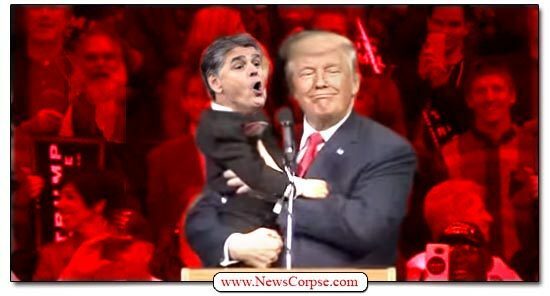 Sean Hannity of Fox News thinks Americans shouldn’t ever see the Mueller report on Trump. Trump confirms that Fox News shills are his chief influencers. Fox News refused to run an ad for an Oscar-nominated anti-Nazi documentary. Tucker Carlson of Fox News insists that there was ‘no collusion’ between Trump and Russia because there just wasn’t any. Fox News Fails to see any Russian collusion in Roger Stone’s indictment. Fox News compares Alexandria Ocasio-Cortez to Hitler and Stalin in unhinged rant. Fox News airs Ruth Bader Ginsburg obituary graphic. Fox News hosts blatantly push him to declare a national emergency over his border wall funding. There is so much in there that is just plain nonsense. To begin with, it’s already been established that “journalistic integrity and professionalism” is nonexistent on Fox News. 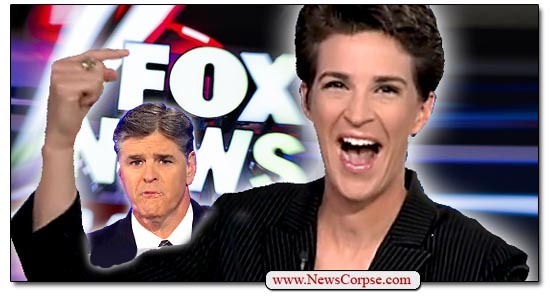 They do not have “the largest TV news audience in America.” In fact, Rachel Maddow of MSNBC has beaten her competition, Sean Hannity, nearly every night for four straight months. And Fox’s audience is the least persuadable bunch of right-wing cult worshipers in TV land. They are more reliably Republican voters than even members of the GOP. There simply isn’t a significant number of Fox News viewers who will ever vote for a Democrat. Nevertheless, Fox News still believes that they should get a chance to host a Democratic debate. 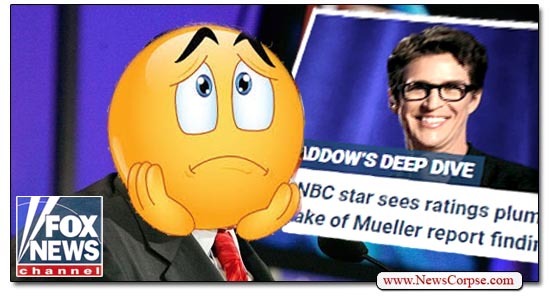 Despite being a network whose hosts and contributors have universally banded together to disparage special counsel Robert Mueller – an American hero who has devoted his entire life to public service – as a corrupt, conflicted, Stalinist, traitor to America. They remain silent when Trump calls the media “the enemy of the people.” creating an environment that encourages censorship and violence. They have advised Trump to act illegally by ignoring judicial rulings and issuing executive orders that violate the Constitution. And no one on Fox said a word when Trump declared that he knows – and could name – Democrats in Congress who hate America. Does that sound like a network that should be allowed to host a debate by members of the party that they are railing against in the most despicable terms? 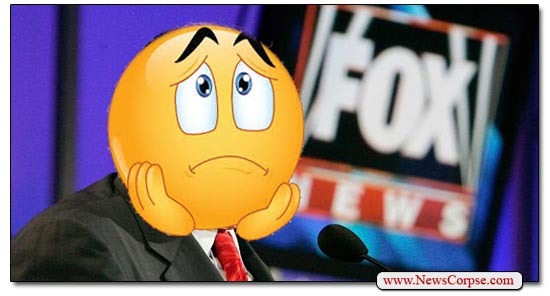 Obviously Perez came to his senses by nixing Fox as a debate host. And if anyone thinks that it’s discriminatory, just remember that Trump has already nixed the networks that he doesn’t like. While he has give more than forty interviews to Fox News, he has given zero to CNN and MSNBC. And he is supposed to be the president of all the people, not just the GOP/Trump-friendly ones he finds at Fox News. The Democratic Party has no such obligation. And they certainly have no obligation to present themselves to their sworn enemies for an orchestrated political assault. Which is funny, because he actually boycotted a Fox News debate himself. It was because he didn’t like Megyn Kelly who was one of the moderators. Now he’s all verklempt because Democrats don’t want to legitimize a network that does nothing but insult them. Also, Trump has already done the same thing. He’s given 40+ interviews to Fox and zero to CNN and MSNBC. What’s more, most Americans would love it if he boycotted debates not on Fox. The less of him, the better.